This is an SVT Raptor. This is what happens when you treat it like a Bro Trophy Truck. If you want to have a better time off-roading, buy a Jeep XJ or YJ/TJ, and do it up right. 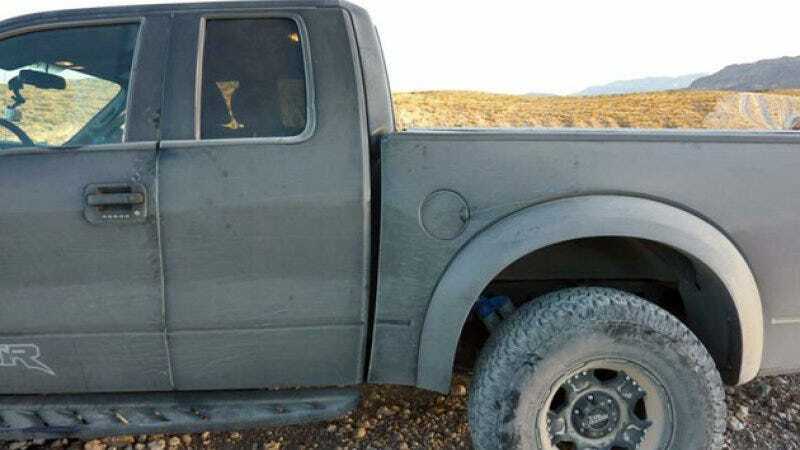 You don't buy a $37K Raptor (...Tavarish...) to treat it like a Trophy Truck (and if you do, you also have the money to get a proper Trophy Truck frame built for an old 1/2-ton, which you will feel less worse about when you inevitably crash it).